Dive & Relax between 1 - 30 June! 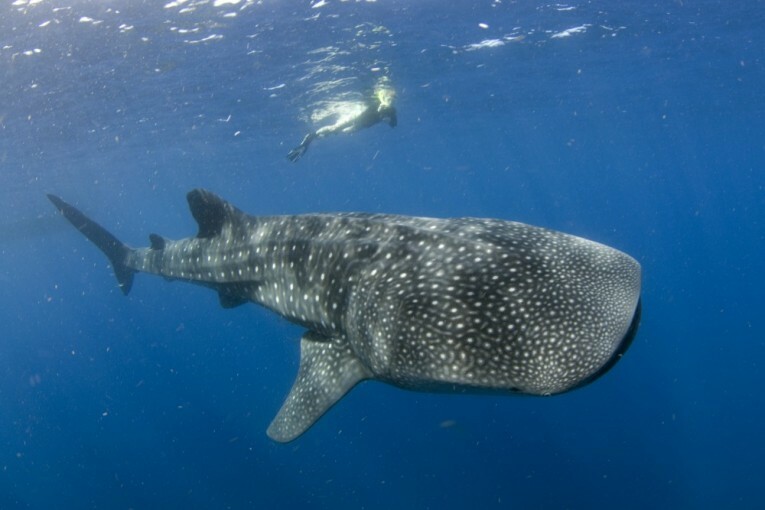 Every year, whale sharks migrate all the way to Isla Contoy in the north of the Yucatan Peninsula to feed on plankton, krill and small fish in the warm nourished waters of the Caribbean Sea. Don’t miss this HIGHLIGHT, swim with those gentle giants, and learn more about this remarkable animal! If you are lucky, you might even spot Mantas and Dolphins! Your 7-night Dive & Relax package at US$ 1,199/ person only. Book until April 30, to stay between 01-30 June 2016! Terms & Conditions apply. Rooms subject to availability. Deals above are not combinable with other promotions. Excluding flights, transfers. Consider currency fluctuation. Do you prefer to dive & relax in Cozumel, shorten or extend your stay? Get in touch with us for your tailored package! Pro Dive International – Mexico´s multilingual Reservations Team is looking forward to welcoming you to our world-class WHALE SHARK SAFARI with GUARANTEED ENCOUNTER in JUNE!! Contact us for more info & reservation!